It is fascinating to watch some US senators tripping over themselves as they attempt to defend their support for or opposition to proposed legislation that would make it a federal crime to support the international campaign to Boycott, Divest, or Sanction (BDS) Israel for its continued occupation of Palestinian lands. What ties these officials up in knots are their efforts to square the circle of their “love of Israel”, their opposition to BDS, their support for a “two-state solution”, and their commitment to free speech. There are a number of problems with the legislation. In the first place, supporters of S720 grossly mischaracterize the intent of the UN approach as “anti-Israel”. In fact, as S720, itself, acknowledges, the UN Human Rights Council specifically targets only businesses that engage in activities in “territories occupied [by Israel] since 1967”. The UN target is not Israel, but Israeli actions that serve to consolidate its hold over the occupied territories. Finally, the legislation continues to build on earlier Congressional legislation using slight of hand language in an attempt to erase the distinction in US law between Israel and illegal Israeli settlements in occupied territories. While earlier legislation accomplished this by referring to “Israel and areas under Israel’s control”, S720 notes that its boycott prohibition applies to “commercial relations…with citizens or residents of Israel, entities organized under the laws of Israel, or the Government of Israel”. While the ACLU has based its opposition on the concern that the legislation violates the free speech rights of American citizens, MoveOn has taken a more expansive approach addressing both the concern with free speech and the fact that S720 “erases the distinction in US law between Israel and Israeli settlements”. 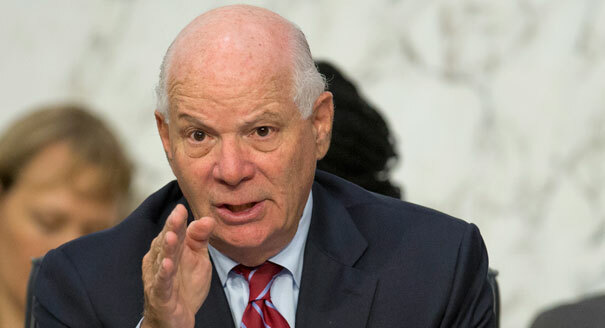 Cardin, Wyden, and other Democrats who support S720 also go to great lengths to pledge their support for a “two-state solution”. But their pledges are hollow since they fail to acknowledge that the provision of S720 that protects Israel’s settlement enterprise (“entities organized under the laws of Israel”) makes realization of a “two-state solution” impossible—given the location, size, and continued expansion of these illegal settlements. Even those who have come out against S720 have had some difficulty explaining themselves. Sen. Kirsten Gillibrand (D-NY), for example, was one of the bill’s early endorsers. She courageously removed her name as a sponsor after learning of the free speech concerns of constitutional lawyers, saying “…I cannot support the bill in its current form if it can be interpreted as stifling or chilling free speech…So I took my name off the bill”. Gillibrand, nevertheless, felt the need to balance her free speech concern with her support for Israel and her opposition to BDS adding “I cannot state this more clearly: I vehemently oppose the BDS movement”. It’s this last point that requires closer examination. While Israel and its supporters make a brave show of shrugging off the threat of BDS, they clearly feel threatened—otherwise why the hyper-activity to punish BDS. S720 isn’t the first such effort in the Congress and nearly one-half of the 50 states have been pressed to pass their own versions of anti-BDS resolutions. In order to build support for their effort, advocates for Israel have tried to portray BDS in the harshest of terms. They have made Israel the victim and while portraying advocates of BDS as “virulently anti-Semetic” aggressors. All of this has been done to obfuscate the reality that BDS is nothing more than a “strategic Palestinian-led form of nonviolent resistance to the occupation and denial of human rights”. After 50 years of occupation, Palestinians have taken it upon themselves to challenge the world community to act. They have had enough of seeing their homes demolished and lands confiscated to make way for Jewish-only roads and settlement colonies in their midst. They want an end to the daily humiliation of being a captive people denied basic freedoms and justice. Instead of submitting to the occupier, they have decided to boycott and have urged those who support their human rights to join them in their call for an end to the occupation. Their action is as legitimate as was the call of African Americans in the Deep South in the 50’s, and that of Nelson Mandela in South Africa in the 80’s. And so the messages we should send to senators are clear. To those who support S720: “Shame on you”. To those who oppose S720: “Thank you for your opposition, but think again about whether the problem is BDS or the occupation that gave birth to it”. And to all senators: “Stop hiding behind your hollow profession of support for ‘two states’. If you are serious about peace, justice, and equality, stop enabling the occupation that makes the realization of those goals impossible”.